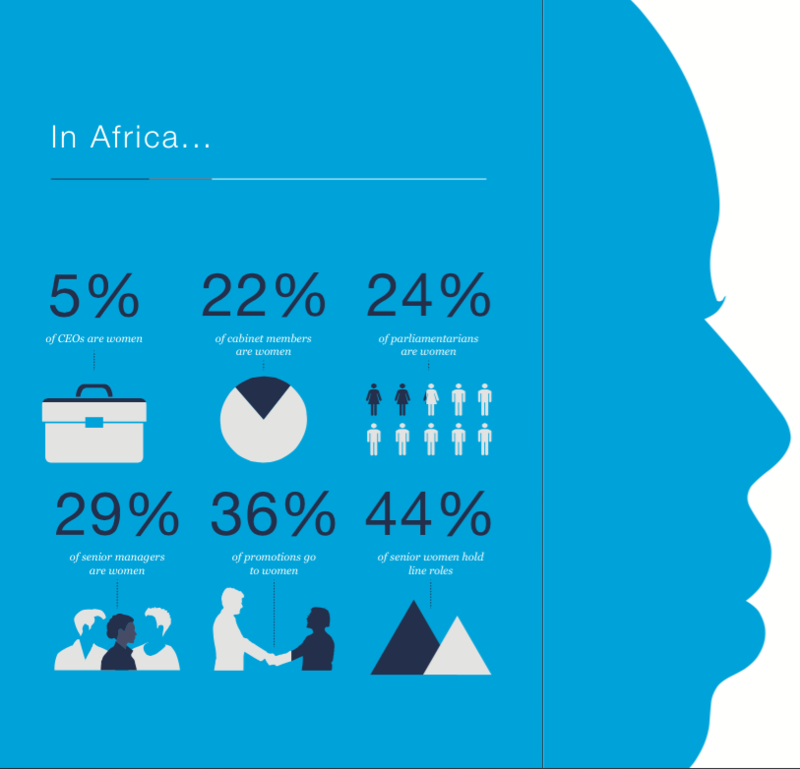 Gender diversity in every sector of the economy is a wildly underrated issue across countries in Africa. However, the trend of excluding women from leadership roles is gradually changing, due to the fact that women’s instrumentality in leadership has proven excellent thus, allowing more women to participate in leadership roles. 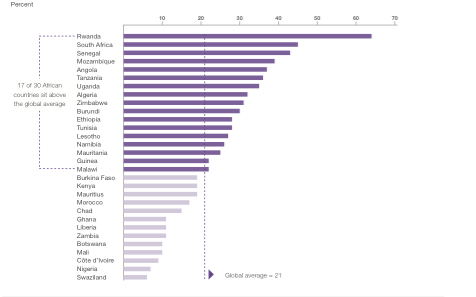 Although some African countries are currently making notable strides in promoting gender equality and diversity, there’s still a lot of room for improvement through all sectors. Africa’s potential for growth relies on the maximum utilisation of our resources, especially our vast human capital potential. Rwanda is an excellent example of great gender diversity in politics as the country has the highest number of women in parliament in the world. Last week, the Prime Minister and Head of Government, Cameroon, Philemon Yang pledged his support for the UN Women’s HeForShe Campaign, a campaign based on promoting gender equality, globally. According to the report by Mckinsey & Co, companies with at least a quarter representation of women on their boards make an average of 20 percent higher earnings before interest and taxes (EBIT) than the industry average. Women tend to manage risk better, they also have a better perception of consumer needs. Research shows that woman directly influence 70 to 80 percent of global spending on consumer goods. “In venture investing, return of capital is a really big deal and here I am looking over multiple years and all of my returns coming from managed entities women are running. This not about gender war, it is about performance and so obviously to me and multiple, it must be for multiple other people now, women are really doing a good job in managing business now. So when I have to decide between a man and a woman today, I’m going for the money and I’m giving it to the woman” said America’s Shark Tank Host and Canadian Businessman, Kevin O’Leary. In Africa, sub-Saharan Africa, women comprise over 50 percent of agricultural labour force but it is devastating to learn that they own less than 20 percent of the agricultural plots available. 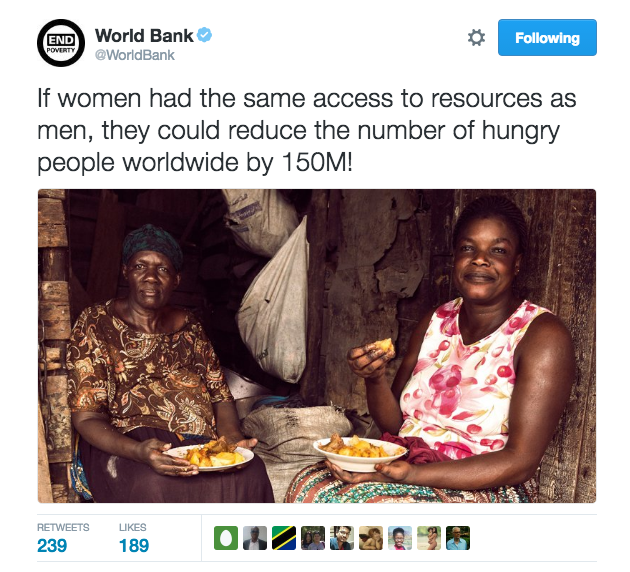 The Food and Agriculture Organisation (FAO) estimates that if women had similar productive resources as men, the total agricultural output in developing countries would increase by up to 4 percent and reduce the number of hungry people in the world by 12–17 percent. If that happened, it would affect up to 150 million people. Empowering women in taking ownership of agricultural activities will create a tremendous influence on reducing food shortage in Africa. Research suggests that a critical mass of women in political offices, generally around 30 percent, can trigger transformation in leadership. Women have played an instrumental role in advancing African economies through policy development and critical decision-making. In Nigeria, the former Minister of Finance, Dr. Ngozi Okonjo Iweala, was responsible for the cancellation of 60 percent of Nigeria’s $30 billion debt to the Paris Club. 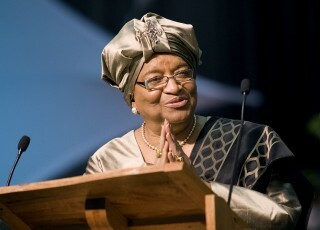 Liberia’s President Ellen Johnson Sirleaf, is known for her impressive leadership skills in her country and is largely attributed to the peace building strategies in the country which experienced 14 years of civil war. Gender-sensitive parliaments ensure that all policies and legislation, including the national budget, are analysed from a gender perspective and, thereby, prevent bias. The call for more women leaders is essentially important to the development of the continent. Africa needs to encourage higher women representation to foster improved profitability, economic development, social inclusiveness and gender diversity.